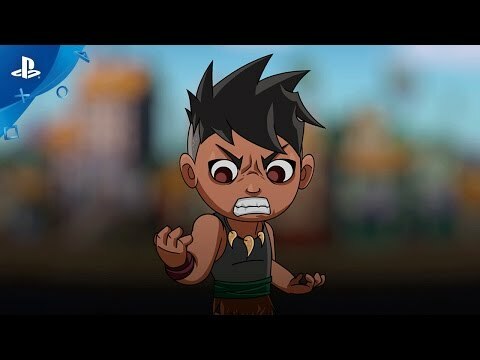 SkyKeepers is a 2D action platformer following the journey of village chief Tangi, as he desperately fights to reclaim both his world and life. Publisher: SWORD TWIN STUDIOS LTD. Developer: SWORD TWIN STUDIOS LTD.
SkyKeepers is a 2D action platformer following the journey of village chief Tangi, as he desperately fights to reclaim both his world and life. Seamlessly chain together various attacks and combos, launching foes skyward. When they’re airborne, teleport to your still hurtling foes to maintain the onslaught in visceral mid-air combat. SkyKeepers offers stunning visuals and a unique journey through a fantasy world inspired by oceanic Austronesian culture. A tragic accident spirals Tangi into despair, turning him to stone. Unprotected, the village suffers onslaught after onslaught of unkept hostile spirits who now flood the islands. A year passes before Tangi awakes, emerging from his skin of stone to give witness to the devastation of his absence. Picking up his axe, he must conquer the demons of these lands to rebuild his village. To rebuild himself.